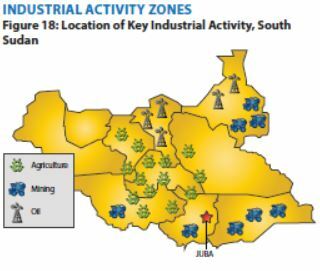 At independence in 2011, South Sudan produced nearly three-fourths of former Sudan’s total oil output of nearly a half million barrels per day, however, subsistence agriculture provides a living for the vast majority of the population. 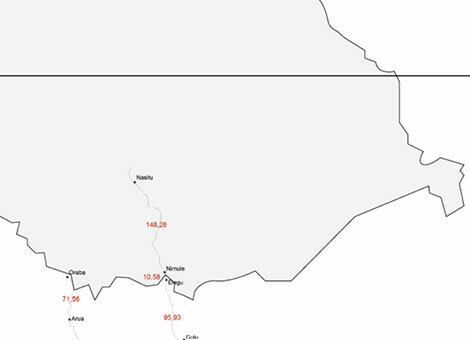 The Government of South Sudan derives 98% of its budget revenues from oil. Oil is exported through two pipelines that run to refineries and ship facilities at Port Sudan on the Red Sea. The outbreak of conflict on 15 December 2013 combined with a further reduction of oil exports, means that GDP growth forecasts for 2014 are being revised downwards again, and poverty and food insecurity are rising. 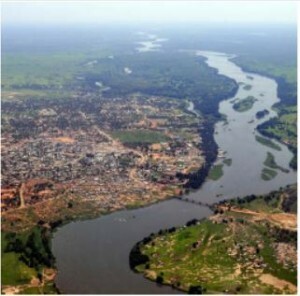 South Sudan holds one of the richest agriculture areas in Africa with fertile soils and abundant water supplies. Currently the region supports 10 million head of cattle. Growing infrastructure projects and business facilities in South Sudan are driving demand for construction materials; imports are estimated at US$3.4 million and growing. Due to the distance and poor infrastructure, supply of materials from neighboring countries is costly, even as South Sudan’s rich deposits of limestone, sand, and other critical raw materials could support a boom in construction materials production in support of construction demand in the coming years. South Sudan has received more than $4 billion in foreign aid since 2005, largely from the UK, the US, Norway, and the Netherlands. Following independence, South Sudan’s Central Bank issued a new currency, the South Sudanese Pound, allowing a short grace period for turning in the old currency. Annual inflation peaked at 79.5% in May 2012, but declined rapidly thereafter, to an average of 1.7% in 2013. Following the December 2013 outbreak of violence, inflation is on the rise again. Long-term challenges include diversifying the formal economy, alleviating poverty, maintaining macroeconomic stability, improving tax collection, financial management, and improving the business environment. 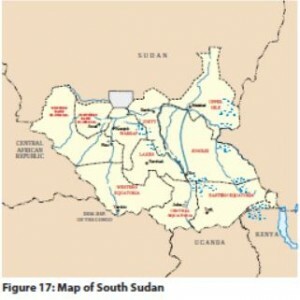 There are no current statistics on South Sudan’s foreign direct investment to date. However, generally, China remains a major investor in the oil sector and investors from Kenya, Uganda, and Ethiopia have been key investors in the construction, hospitality, and agriculture/ agribusiness sectors over the past three years. • Access to Land: RSS and/or the Local Authorities shall provide land. Investments in agriculture, plantation forestry, quarrying, and mining shall be deemed to be included in the priority and strategic sectors subject to legal limits on concession periods and renewal requisites. • Licenses: An Investment Certificate issued by the Investment Authority entitles the investor to invest in the priority area of choice. • Entry/Work Permits: An Investment Certificate entitles the investor to entry/work permits for their designated managers. The first permits will be issued free of charge and are valid for two years. • Duty Exemptions: Agricultural imports, tools, equipment, machinery and tractors, pharmaceutical, animal feeds, seeds for boosting food, and cash crops production shall be exempt from any duties and taxes for a period that shall be determined by the law. • Tax Incentives: Incentives include capital allowances ranging from 20-100%; deductible annual allowances ranging from 20-40%; and other depreciation allowances ranging from 8-20%. • Special Incentives: Special incentives may be granted by the board of investments in strategic or transformational sectors. These special incentives are only available on special applications by investments in areas designated as strategic or transformational.